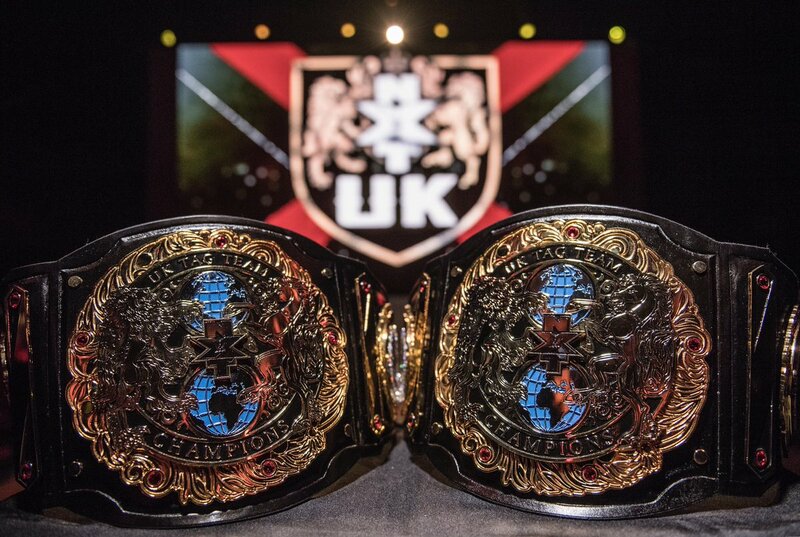 WWE NXT UK Tag Team Titles Officially Revealed (Photo, Video) - Wrestling Inc.
As seen below, the WWE NXT UK Tag Team Titles were revealed on today's WWE Network episode by Triple H, NXT UK General Manager Johnny Saint and Saint's new assistant, Sid Scala. Some of the tag teams in the NXT UK division include Moustache Mountain (Trent Seven and Tyler Bate), Gallus (Wolfgang and The Coffey Brothers), Grizzled Young Veterans (Zack Gibson and James Drake), Kenny Williams and Amir Jordan, Flash Morgan Webster and Mark Andrews, among others. The NXT UK Tag Team Tournament finals will be held at NXT UK "Takeover: Blackpool" on January 12. Moustache Mountain and Grizzled Young Veterans will do battle to crown the inaugural champions. BREAKING NEWS: @TripleH and @JohnnySaintWWE unveil the #NXTUK Tag Team Titles at the @NXTUK TV taping in #NXTUKPlymouth!